Alex & Drew open the show talking about Alex's progress learning to code which she talks about further in her blog. They discuss meetups they attended the past week and then highlight a few upcoming meetups around town in the Vancouver tech scene. Our guest this week is Annee Ngo of Protohack and PressReader. 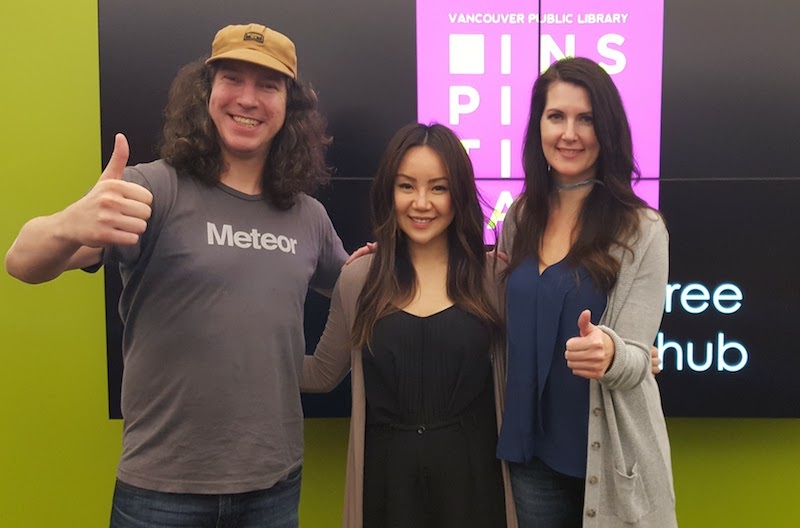 Protohack activates and supports the start-up community by hosting global events that help people with amazing ideas get mentorship, training, and business requirement validation so they can turn their idea into a real-world business. Protohack also hosts white label events, and the next upcoming event will be on April 29th. Stay tuned for Annee's upcoming Media hackathon to disrupt mainstream media! If you're interested in getting involved you can reach Annee by email or on twitter: @protohackvan or at @anneengo.